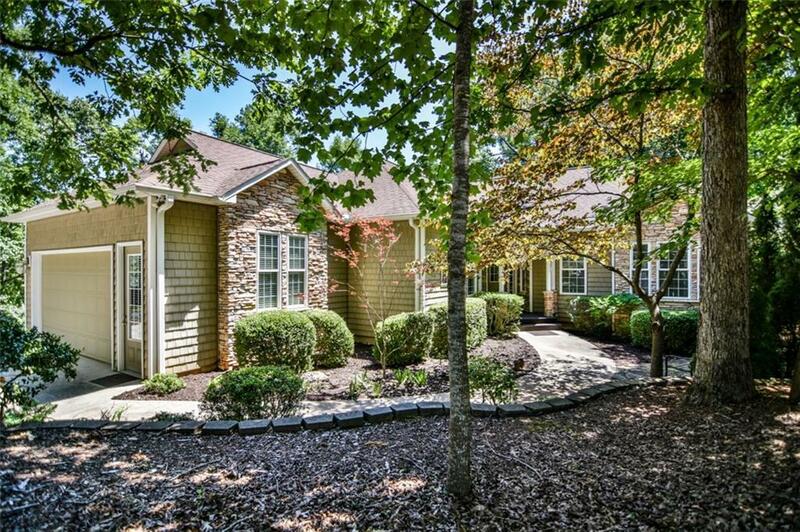 Welcome to the Easy Shores of Lake Keowee and this beautiful 5 bedroom, 4.5 bath home right on the lake. As you enter you are welcomed by an open living room with a beautiful fireplace and the formal dining room. Then you enter the large spacious eat-in kitchen. Plenty of room here for the 'Chef' in your family to store their favorite ingredients and utensils. The large window over the sink insures that you won't miss any outdoor fun even when you are doing chores. Boasting a large island and plenty of storage in the warm cabinets and a great eat-in space where everyone can gather. Close to the kitchen is located a half bath and the laundry room. On this level there is a Master Suite, 2 more Guest rooms with a shared bath. Downstairs a large wraparound Family room invites you to come and sit and relax. There is plenty of room for lots of friends and family here. And certainly lots of room for your favorite game tables or extra seating for eating. Down here there is another Master suite and another large bedroom able to accommodate several beds, great for a family. This home is filled with windows to bathe the home in natural light. There is a large wraparound porch on each level. A great place to relax and read your favorite new book. 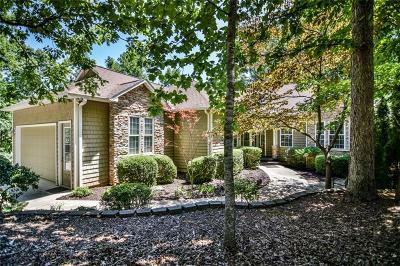 A paved walkway from the driveway takes you to a large outdoor patio shaded by hardwood trees then down to the lake and your own boat slip. This is a private 3 slip dock shared by 3 homeowners and located on a quiet, deep cove. Oh, and did we mention how much storage is in this home. All I can say is that it will take you a very long time to use it all but it's perfect for all your water toys. Come and see this beautiful, first time on the market Lake Home.